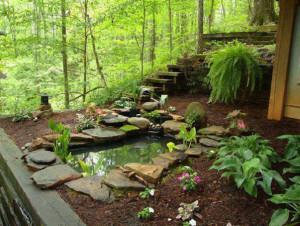 Ponds do not have to be large to be focal points of your landscape. This small water garden is just big enough to have all the elements you need to feel the benefits of stress relief and provide a home for some fun critters. Natural ponds are perfect spots for a lot of aquatic plants, turtles, frogs and pond fish. Important to note when planning this water garden with your pond contractor to be aware if you have any predictors that may want to visit. If so be sure to make steep sides and have enough depth to make it difficult for birds and raccoon’s to get in it. 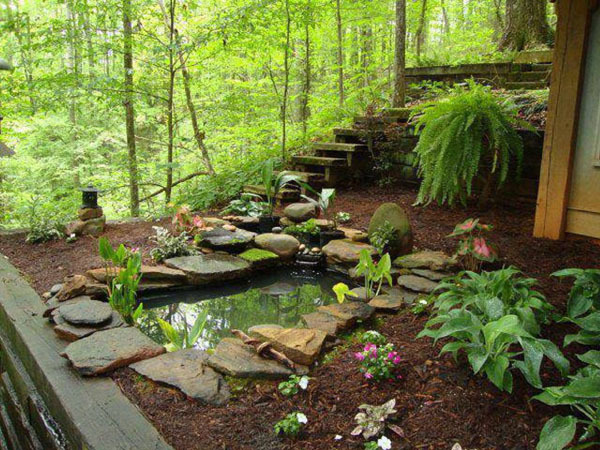 This pond was built with a very small waterfall which will provide just enough water flow to aerate and circulate the pond.